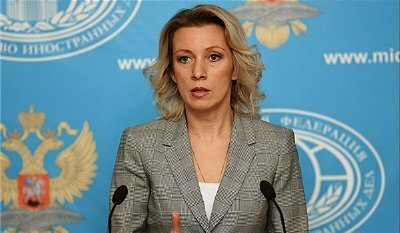 Russian Foreign Ministry spokeswoman, Maria Zakharova, is claiming that America’s information campaign on Syria is a warning that a U.S.-led intervention is being planned. “The current information attack is very likely a warning sign of an intervention. The story will be the same: an incident happens on the territory controlled by the terrorists, civilian casualties follow. The so-called opposition – de facto the same jihadists, not very different from IS [Islamic State, formerly ISIS/ISIL] and Al-Qaeda, but who are still getting help from the US and allies – announce yet another ‘crime by the regime,’”Zakharova said. The US’ claims on an alleged chemical attack being prepared by Damascus aren’t only aimed against the Syrian authorities, but also against Russia, the Zakharova said. On Wednesday, Moscow warned Washington against any “incendiary, provocative action” in Syria, stating there is no threat from the Syrian military.